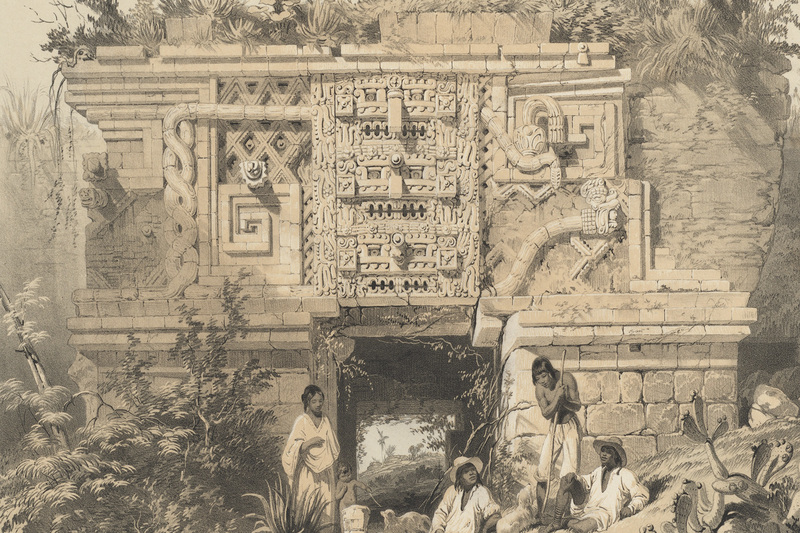 Detail of Portion of a Building; Las Monjas, Uxmal, lithograph on stone by A. Picken, based on artwork by Frederick Catherwood, from Catherwood 1844, pl. XIV. 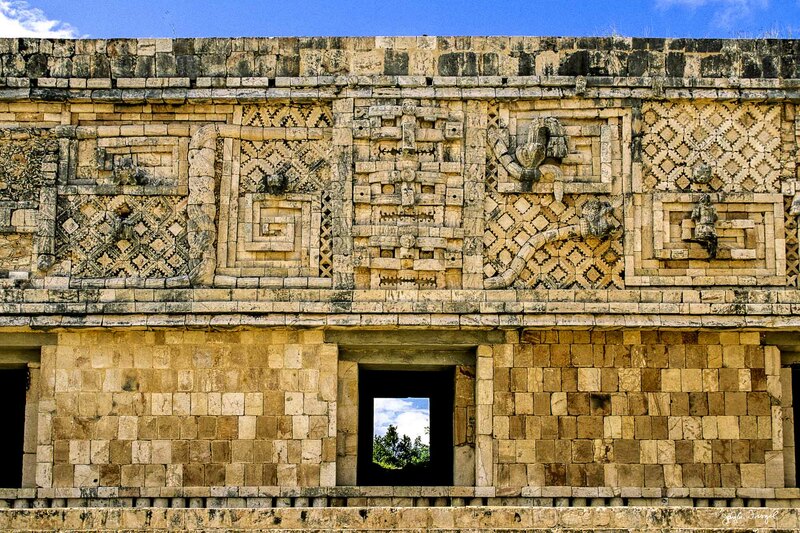 Uxmal, Entwined Serpents on Façade at the North End of the West Building, Nunnery Quadrangle. Photo: Jay A. Frogel.